The City of Houston, through the Housing and Community Development Department, will administer a $1.17 billion program funded by the federal government to assist Houstonians affected by Hurricane Harvey. 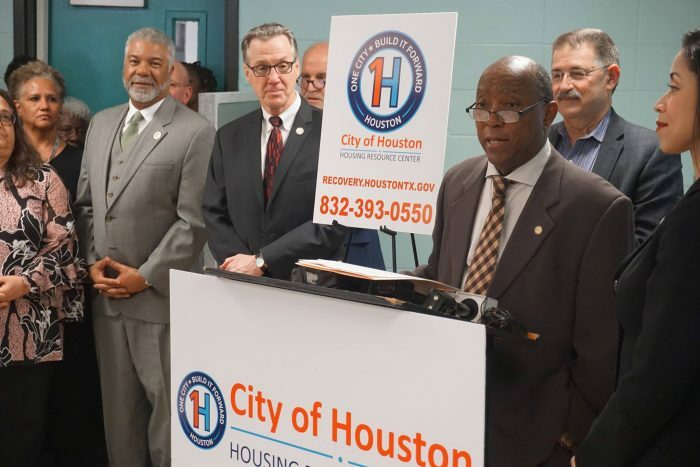 One of the primary programs being funded is a Homeowner Assistance Program (HoAP) to help homeowners whose homes were damaged during Harvey. There are five options within HoAP to assist homeowners at different stages of recovery and with specific recovery needs. If eligible, homeowners may qualify to participate in one or more of the program options described below. REIMBURSEMENT: If you have completed repairs on your home you may be eligible for reimbursement of some expenses. Any work considered for reimbursement must have been performed prior the date you submitted your application and must pass an environmental clearance and an on-site inspection. ACQUISITION: If your home was substantially damaged, you may be eligible to have your property purchased by the City. You may also be eligible to apply for additional assistance to purchase a new home. CITY-MANAGED REHABILITATION AND RECONSTRUCTION: The City will use a pool of contractors to rehabilitate or reconstruct storm-damaged homes. The City will manage and complete the construction process on your behalf. INTERIM MORTGAGE ASSISTANCE: If you are making both a mortgage payment on your storm-damaged home and making a rental payment for a temporary home, you may be eligible to receive up to 20 months of mortgage assistance. HOMEOWNER-MANAGED REHABILITATION: This option is only available if you have already started construction on your home and are under contract at the time of application, but need financial assistance and technical expertise to complete repairs. Because funding is limited, the Homeowner Assistance Program will have priorities for people who need the most help first. For more information about the programs or about the application process call 832-393-0550 or visit www.Recovery.Houstontx.gov.